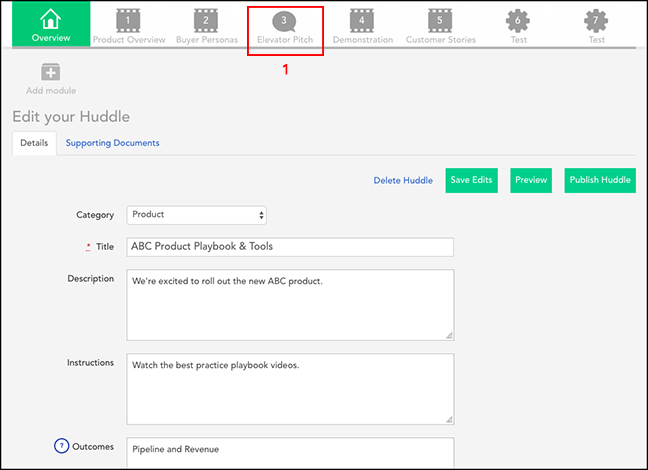 Step 1: (Make sure your huddle is in edit mode) Click the Add module tab to create a new Exercise module, or you can add the Scoring Slider to an existing Exercise module. For this example, we will be using an existing module. Step 2: At the bottom of the Exercise module page, there is a Comment Type feature. Click the drop-down tab and select Scoring Slider. 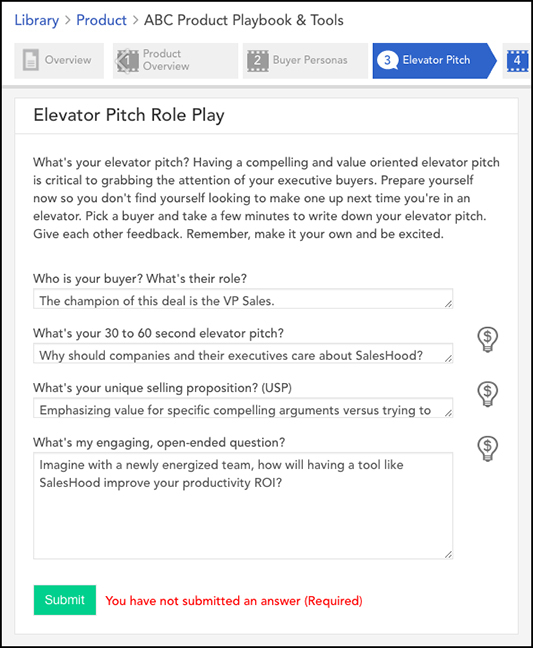 Step 3: Fill in a coaching question you would like users to rate each other on as well as an answer label. Click Save Edits when finished, then Preview to see how it will look. 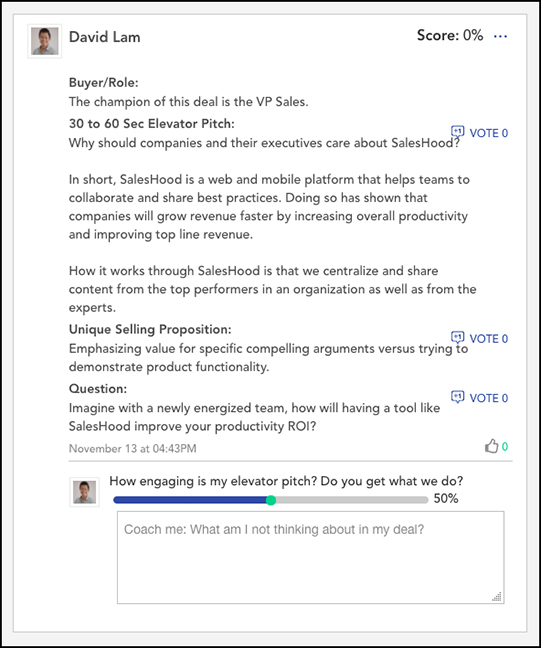 The Scoring Slider will appear for users in the comment fields (see photo from beginning).